A leisurely game of golf is the perfect way to unwind on your weekend in Ft. Mitchell. Whether you are interested in a private or public course, 18 holes or putt-putt, you will find a collection of diverse and enjoyable courses near Ft. Mitchell. Located in Florence, KY, World of Golf is the place for all-day family fun. Beginner and junior golfers can play the executive 18 hole course with plenty of space, or more experienced golfers can get in a short practice game. Golfers of all levels can hone their skills at the indoor driving range or golf simulator. Families will enjoy the Kentucky themed putt-putt course which allows you take a tour of the Bluegrass State in 18 enjoyable holes. For golfers looking for a Country Club to join, the Fort Mitchell Country Club offers an exclusive experience. No need to schedule tee times, you are welcome at the green when the desire strikes. Alternate tee boxes provide a varied experience on this 9 hole course, which will suit everyone from the experienced player to the novice. The Beech Creek Golf Course offers both 9 hole and 18 hole options at a reasonable rate. This well-kept course located in Cincinnati, OH is good for beginners and seasoned golfers alike. Players will enjoy amenities like GPS equipped carts that would cost significantly more elsewhere. The Fox Run course has maintained a rating as one of the most challenging public courses in Kentucky. The Pioneer course offers a shorter option with a 71 par. The Willows course is for golfers who want a challenge, pitting them against beautiful rolling hills and tree-lined greens. The Twin Oaks Golf & Plantation Club offers a flatter course that is perfect for beginners and walkers. 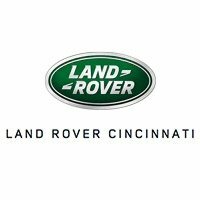 Once you are done playing the green, enjoy a delicious light lunch—or the signature Magnolia Dinner Buffet—at the Plantation Club in Covington, KY.
At Land Rover Cincinnati we appreciate a making the most of your free time. Next time you are looking for local attractions, romantic activities, fun events, or cultural attractions to explore in Cincinnati, contact us for recommendations.